The troop elections were held on January 13, 2009. The new Senior Patrol Leader is Jarret Stepler and the new Assistant Senior Patrol Leader is Chris Fritz. 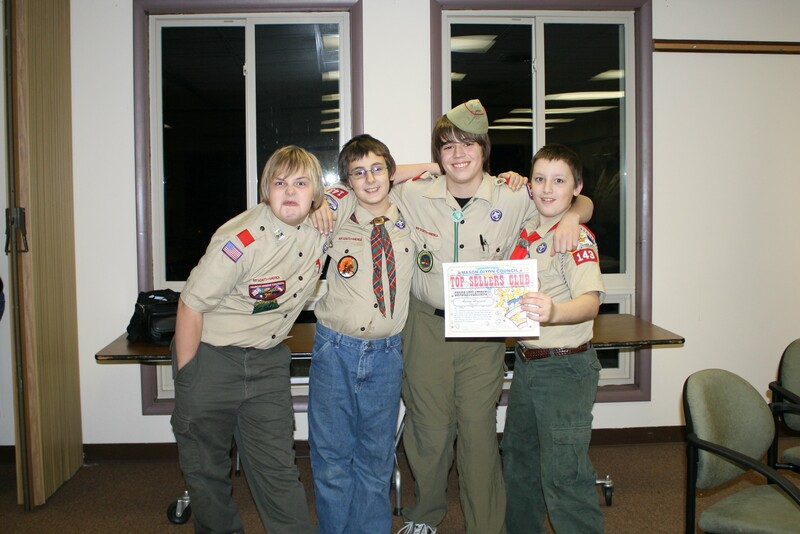 Three of the boys from Troop 143 and one cub scout from pack 143 were recognized on January 21, 2009 for being in the top 10 popcorn sellers in the entire Mason-Dixon Council. The boys recognized were Daniel Clever, Ryan Clever, Aaron Hazard and Jarret Stepler. CONGRATULATIONS to these boys for their achievements. On the weekend of February 6th - 8th, 2009 the troop and several members of the pack went cabin camping at Camp Sinoquipe. The troop performed their community service project while at camp. It was dubbed Project Dang Gone. 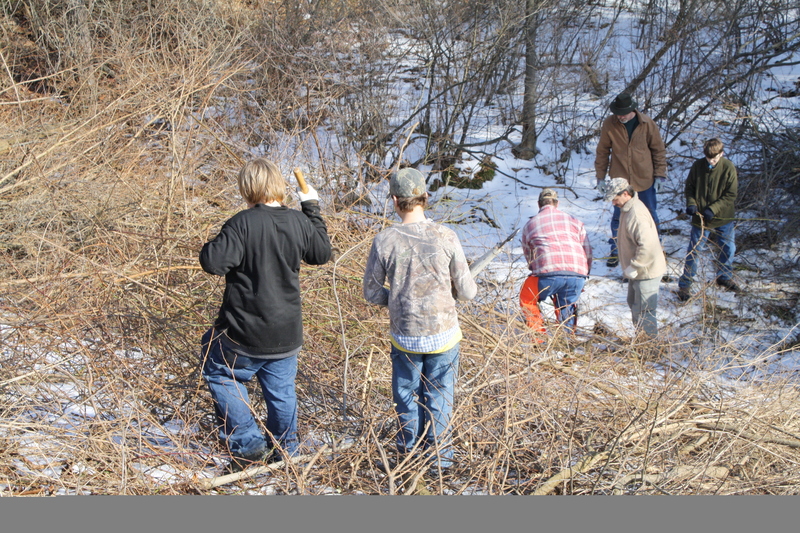 The boys cleared out the area near the damn and created a habitat for small animals. After the service project was completed everyone enjoyed the rest of their weekend.